It’s no secret that nurses love nursing because of their passion towards caring for people. Nurses care for their patients from admittance to discharge, which provides ample opportunity to foster great patient experiences. As a company who’s focused on nursing and hourly rounding, Nobl believes great patient care comes down to three key nursing factors: collaboration, communication, and compliance. Collaboration within nursing, especially with most organizations staffing to census, is extremely important. Many nurses take care of anywhere from 3 to 6 patients during one 12-hour shift, which can be taxing on time essential for patient care. Injuries, diseases, and illnesses have become increasingly complex, which makes providing quality and compassionate nursing a team effort. Huddles are an essential part of many sports team strategies, as well as business planning, but regular huddles involving all on-duty floor nurses and nurse directors have shown positive results when collaborating to deliver great patient care. A nurse director at Central Baptist Hospital successfully implemented unit-wide huddles and was able to connect a unit with nurses who rarely ventured from one side of their unit to the other. By huddling at strategic shift times, floor nurses collaborated with each other when help was needed, ensuring every patient was given the care they needed. Thanks to advances in technology, digital unit rounding maps are a way for nurses to visualize in real-time where their fellow nurses need a helping hand! 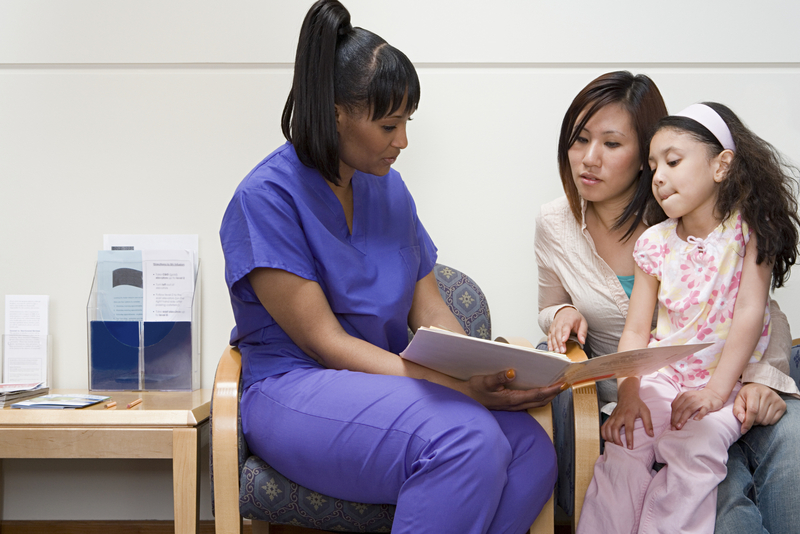 Many nurses find time in the day to talk with their patients’ families, whether in person or by phone, but there are many other ways to improve upon the family communication process. We all know that nurses finishing their shift should always debrief their patients’ statuses to the nurse relieving them during shift changes, but thanks to the practice of hourly rounding, more advanced communication technology have become available,allowing consistent nurse to family communication every single hour. According to ANA and AONE in Principles of Collaborative Relationships, effective collaboration between floor nurses and nurse managers comes down to effective communication, authentic relationships between nurse managers and floor nurses, and a culture of learning, growth and education. An environment where all nurses feel safe and encouraged to grow ensures healthy relationships, and optimal nurse manager and floor nurse collaboration. Madonna Client Story: Hardwiring purposeful rounding through digital documentation and staff competencies. Educational Webinar: Rounding Optimization - Putting Your Data to Work!